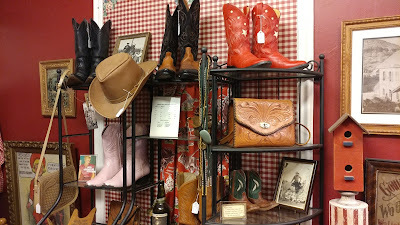 Vintage Gal Antiques: Boot Scootin' into Spring! It's been said that a cowgirl's best ammunition is her smile. 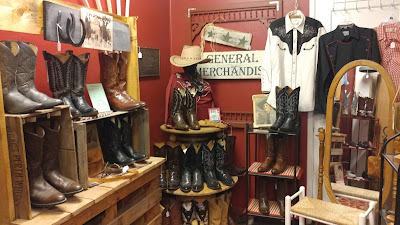 But having a great pair of western boots is pretty important, too! 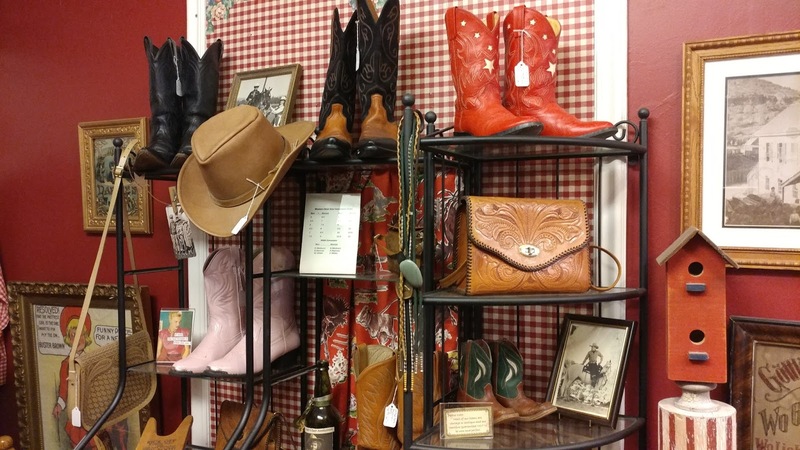 Vintage Gal Antiques has an amazing selection of vintage western boots and accessories including tooled leather handbags and vintage H Bar C western shirts. All reasonably priced! Opening in April for the 2018 season!